There’s that word again – UNIQUE. How many times have you heard that word used to characterize Riverton? Our historical marker program has its next two markers in the ground, at Riverton Free Library and Riverton Public School. Our volunteer Sub-Committee on Excavations (i.e. Pres. Bill Brown, John Laverty and Roger Prichard) planted them both on a recent Sunday morning. Stop by and have a read! The marker for the Library tells the story of the tiny cottage first occupied by a nationally known motivational preacher. It was then for many decades the home of a lifelong bachelor who was a beloved figure in Riverton. 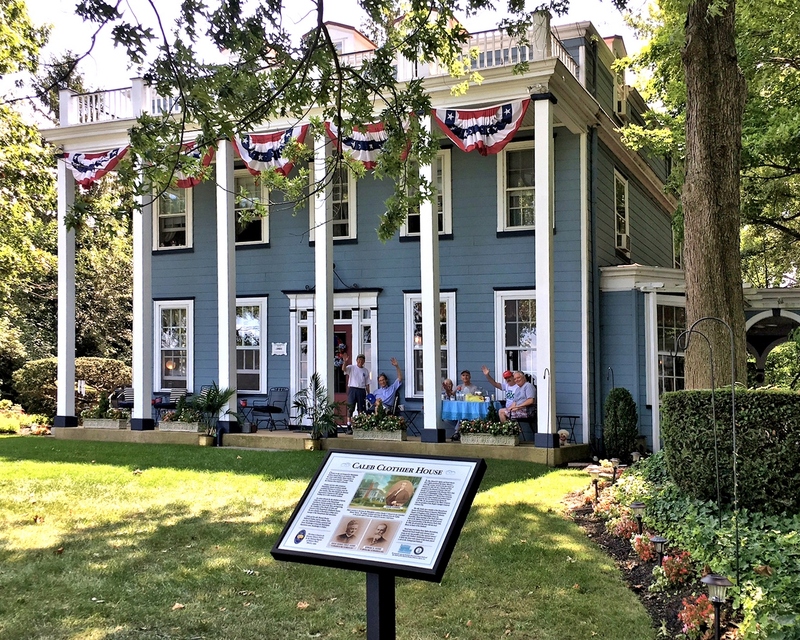 It was transformed into the home of the new Riverton Free Library and Reading Room Association, which has been a treasure for the town for about 110 years since then. Riverton Public School is actually the fourth public school attended by students of the area – the first being long before there even WAS a Riverton. The marker tells of how its expansion paced the evolution of the whole concept of public education in America and includes a “then-and-now” graphic with groups of children from about 1915 and 2018. Previous Previous post: Duster origin photo – local legend or fact?